James Darrell Scott known as Darrell Scott (b August 6, 1959, London, Kentucky), the son of musician Wayne Scott with whom he has collaborated, is an American singer-songwriter and multi-instrumentalist. He was playing professionally by his teens in Southern California, later living in Toronto and Boston. He attended Tufts University, where he studied poetry and literature. In 2010, he recorded and toured as part of Robert Plant's "Band of Joy" project. In 2010, he recorded and toured as part of Robert Plant's "Band of Joy" project. Scott has also collaborated with Steve Earle, Sam Bush, Emmylou Harris, John Cowan, Verlon Thompson, Guy Clark, Tim O'Brien, Kate Rusby, Jimmie Dale Gilmore, and many others. His unique music has attracted a growing fanbase, and he tours regularly with his own band. Much of the commentary about Darrell Scott's career has focused on the songs he's written that have been recorded by famous names and voices ? those known in music industry parlance as ?artists.? But then there's the actual word artist, whose definition has nothing to do with radio hits and red carpets. We refer of course to those who create artifacts of aesthetic and intellectual contemplation and wonder, built from experience, skill, reflection and emotional intent. That's an artist. And that, at the end of the day, is Darrell Scott. This is made abundantly clear on A Crooked Road, Scott's sixth solo studio album. Recorded at home and entirely performed by Scott on a variety of instruments, A Crooked Road falls somewhere between a carefully crafted memoir and an arresting breach of privacy. From the deepest containers of memory, it recounts the bruises and blessings of 30 years of love relationships, stirring the heart with its intimacy and with the enthralling warmth and strength of Scott's rare voice and musicianship. It is certainly the most introspective and intense project of Scott's career, spilling over from one CD onto a second, and arranged as a journey with instrumental interludes and a sense of purpose that invites the listener to follow Scott along the crooked road of life, from romantic young man to drama king to lone poet. Why this album, and why now? Scott says the proximate cause was the approach of his 50th birthday and a long process of adjusting to being single for the first time since first getting married at age 20. The songs were not written with the album in mind specifically, but upon looking at his output over a period of a few years, Scott saw a strong theme emerging. A sequence of songs presented themselves with the kind of clarity that rings an inner bell and signals ?this is an album.' Indeed, Scott shelved several other projects temporarily in order to focus on the recording of these 20 songs and pieces. That recording took place in unusual isolation. Scott generally calls upon peers from the top ranks of roots and Americana music for his projects, but this seemed like the right time to realize a life-long aspiration of making an album by himself. When Darrell was 16, his father, a remarkable songwriter and singer in his own right, purchased a four-track, reel-to-reel recorder. Darrell virtually adopted it, spending many long nights in a shed, laying down parts and harmonizing with himself on a variety of instruments. It was a vital part of his musical schooling, as he figured out how instruments sound together and how to layer parts with grace and taste. While he did engage the help of his regular recording engineer Stephanie Hudacek at a console one floor below his living room ?studio,? otherwise Scott worked alone. He would lay down a baseline performance of a song with the right backing instrument, whether guitar, piano or mandocello. Then he added parts, sometimes a single line and in some cases all the parts of a fleshed out band. It is perhaps no surprise that he dedicated the project to guitar pioneer Les Paul, the father of multi-track recording, who died while the album was being recorded at age 94. 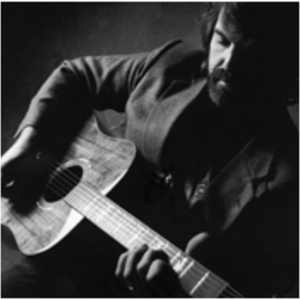 As for the music itself, longtime fans of Scott will find a lot that is familiar here: that soul-saturated voice, somewhere between Lowell George and James Taylor, the dazzling instrumental chops and the unfailing judgment about what makes a song sturdy enough to stand up to the wind and weather of time. The album opens with the title track, a simple tune that throws back a bit to the folk-pop of the early 1970s. It lays out the geography of the album to come. ?I will sing a lonesome song to anyone who'll listen,? he says, invoking the muse and inviting the kind of active attention the album merits. Highlight songs include ?Long Wide Open Road,? wherein Darrell recounts his first love with wistful hindsight. ?For Suzanne? burrows into the complex cocktail of guilt and anger that remain in the wake of a crashed relationship. ?Colorado? finds Scott in lone contemplation on a spiritual road trip. And the passion and humor of a forest-fire romance are described in the rocking ?Snow Queen and Drama Llama.? The last stage of the journey achieves new plateaus of insight and peace in songs like the lush and grand ?This Time ?Round? and the spare benediction of ?This Beggar's Heart.? It's a special album from a special time in the life of a special recording artist. Its hand-crafted feeling evokes the integrity and permanence of a well-made instrument or an expertly done painting. It may be more somber and vulnerable than Scott's previous releases, but for that reason it has that much more emotional directness and power. It is truly a self-portrait of the artist as an older and wiser man.